We’ll now integrate OpenCV face detection into Unity. In this part, the camera stream and pixel processing will be done within OpenCV, and we will only send the location and size of the detected faces to Unity. This approach is used for applications which don’t need to overlay any visuals onto the camera stream, but only require the OpenCV data as a form of input. Here’s the full Source.cpp which is used to track faces and send their location to Unity. I will not cover the actual OpenCV code – it’s mostly just sample code, and the scope of this tutorial is purely to introduce you to a way of making OpenCV and Unity communicate in an optimized way. // Declare structure to be used to pass data from C++ to Mono. // Load LBP face cascade. // Convert the frame to grayscale for cascade detection. // Scale down for better performance. We obviously start with a couple of imports and namespace using statements. Then, we declare a struct: this structure will be used to pass data directly from the unmanaged C++ code into the managed Unity scripts. This will be covered in more detail once we get to the Unity side of things. The structure is made to suit the application’s needs – you are free to change this as required. Next up, we have all the methods which can be called from within Unity. Because we are using C++, we need to explicitly tell the compiler how to expose these methods. Normally, the C++ compiler will mangle the method names when packaging them into a .dll. Therefore, we instruct it to use the classic “C” style of signatures, which leaves the method names just as you wrote them. You will always have to use this syntax when exposing C++ methods to a managed application. Important to note here are the parameters Circle* outFaces and int& outDetectedFacesCount. The first one is a pointer to a Circle struct, indicating here that we are sending an array of Circles to Detect(). The latter indicates that outDetectedFacesCount is sent by reference. Compile the project as x64 Release, and copy the resulting .dll to the Assets/Plugins folder in your Unity project. You will also need to copy the OpenCV .dlls to that same folder, as our own .dll depends on those. The OpenCV .dll’s were compiled in the first part, and can be found in \OpenCV 3.1\bin\Release. It can be a bit tricky to know exactly which .dll’s you need – copying just the ones declared in the #include statements isn’t enough, as these in turn are dependent on other .dll’s. You can use Dependency Walker on our .dll to figure out exactly which .dll’s are required, or if you’re feeling a bit lazy, you can just copy all of the OpenCV .dll’s. If Unity tells you our .dll can’t be loaded even though it’s in the Plugins folder, it’s because dependencies are missing. A final thing you will need to copy is the cascade classifier .xml. In this sample, I’m using the lbp frontal face cascade – lbp cascades are the significantly faster than haar cascades, though slightly less accurate. 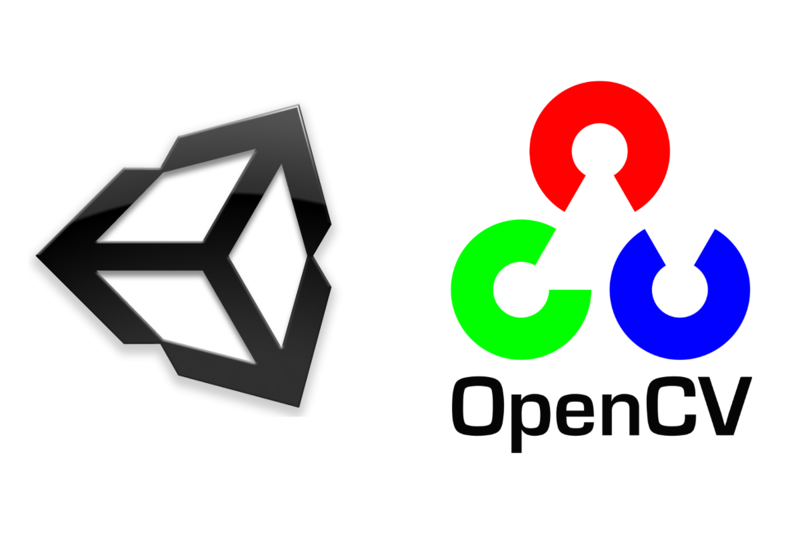 You will need to copy it from your OpenCV directory into the working directory of your Unity application – when you’re within the editor, this is the root project directory. // Define the functions which can be called from the .dll. The static OpenCVInterop class exposes to C# all the C++ methods we just marked as dllexport. Note that the method signatures have to match. The DllImport attribute takes the file name of your dll. Underneath that, add this structure declaration. It needs to have the same exact fields as the one declared in C++, in the same order, and it must be marked to have a sequential layout. This way we’ll be able to read the struct data coming from the unmanaged environment. /// Downscale factor to speed up detection. The important bit happens in Update(): in an unsafe block, we call OpenCVInterop.Detect(), and pass the fixed pointer of an array of CvCircle. This means that the C++ OpenCV code will write the detected faces directly into this struct array we defined in C#, without the need for performance heavy copies from unmanaged space into managed space. This is a good trick to know for any C++ interop you may have to do in the future. Because we don’t know how many faces will be detected, we create the array at a predefined size, and ask our C++ code to tell us how many faces were actually detected using a by ref integer. We also pass the array size to C++ to prevent buffer overflows. In case you are not familiar with the two above keywords, unsafe simply allows you to use pointers in C#, and fixed tells the compiler that the given variable has to stay at its assigned position in memory, and is not allowed to be moved around by the garbage collector – otherwise the C++ code could inadvertently be writing to a different bit of memory entirely, corrupting the application. This same procedure can be used to pass an array of pixels between OpenCV and Unity without having to copy it, allowing you to display video footage from OpenCV within Unity, or passing a WebcamTexture stream to OpenCV for processing. That is beyond the scope of this part, however. In order to be able to use unsafe, we need to add a file called “mcs.rsp” to the root asset folder, and add the line “-unsafe” to it. (in versions before 5.5 you may need to use either smcs.rsp for .NET 2.0 subset, or gmcs.rsp for the full .NET 2.0). This file is an instruction to the compiler to allow unsafe code. While this will let Unity compile your scripts, Visual Studio will still complain when you try to debug with an unsafe block – normally you add a flag in the project properties, but Visual Studio Tools for Unity blocks access to those. To be able to debug, you will have edit the .csproj (root project folder) manually, and set the two <AllowUnsafeBlocks>false</AllowUnsafeBlocks> lines to true. You will have to do this after every script change since the .csproj is recreated by Unity after every compile, so it’ll be useful to comment out the unsafe lines when you’re working on something else in the project. That wraps up this part – hopefully I’ve taught you enough to set you on the path. Good luck!